This is by far our most popular way of volunteering. It gives those with limited time or who are new to Special Olympics a way to volunteer without making more than a one day commitment. There are day of event opportunities inside of a sports environment (at a competition) or beyond a sports environment (at a fundraising or outreach event). 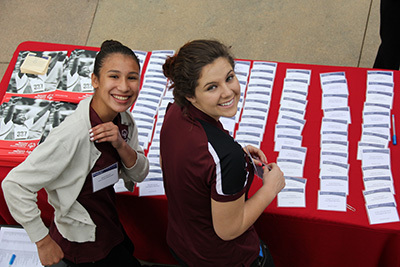 Volunteer on a regular basis inside a sports environment. Coach or support athletes or help competitions come to life! If you have the enthusiasm, compassion, and skill to serve our athletes, these roles might be right for you! Volunteer opportunities are throughout our chapter or on the championship level. Volunteer on a regular basis beyond a sports environment. Help us plan fundraising events, provide administrative support at one of our offices, serve on a local leadership team, provide marketing and communications support, and move our mission forward in many other ways. Time commitment varies by position. 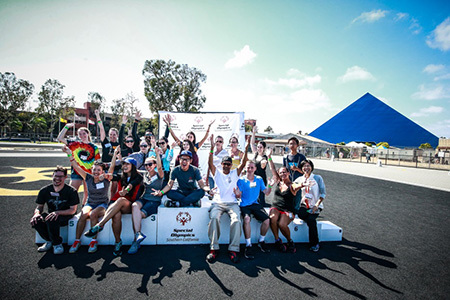 If you're an enthusiastic self-starter who works independently and you have excellent organizational and communication skills, join the Special Olympics team as an intern. Internships are available across many departments throughout Southern California. Some of the internships offered include marketing & communications, special events, volunteer management, and more. Not only do I believe it is important to give, but I love knowing that what I do as a volunteer helps our athletes to have the best possible experience at our games that they can. I got to know some of the athletes personally through sports competitions. I was inspired by the confidence and determination playing on a team gave them. I could relate because sports taught me the same life skills. 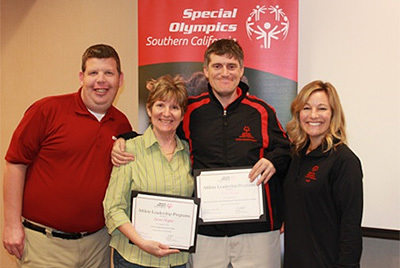 On April 19, 2015, Ticky Gorin was honored by Special Olympics Orange County with the Outstanding Volunteer Award.